Highly concentrated pigments for generous blurring, a clear, precise stroke and soft touches. Ideal superimposed for blurred effects, transparency and subtle colour blends. 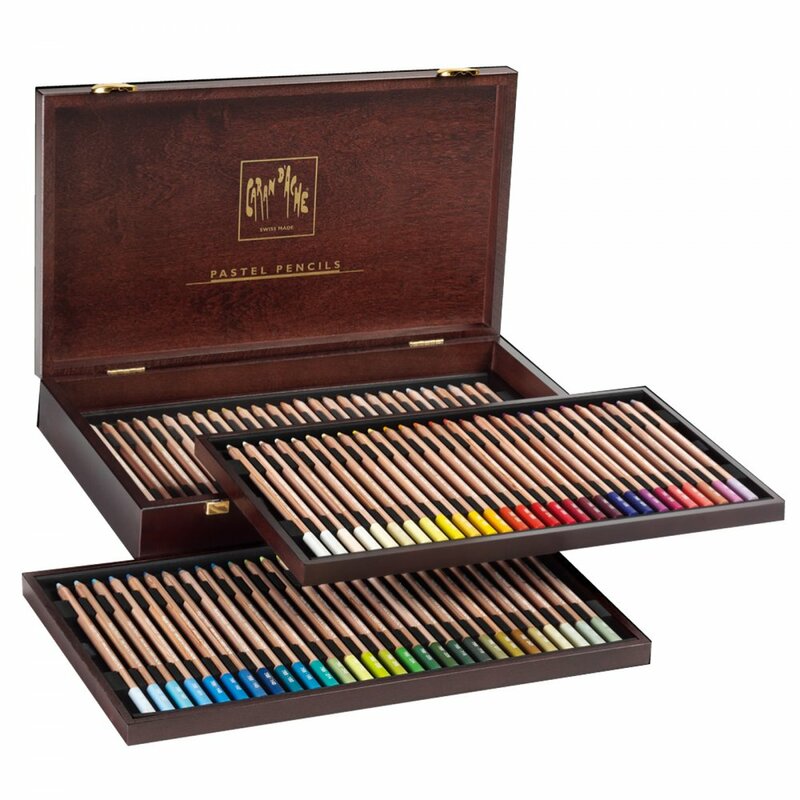 Showing 3 Caran D'Ache Pastel Pencils 84 Assorted Colours reviews. Average rating of Excellent. Would you like to write a review? Really pleased with these, excellent quality and a very competitive price from Crafty Arts. Such a beautiful box that I didn’t want to use them! I did though, and they are brilliant at the job. What can be said about Caran d'Ache products that hasn't already been said? Incredible attention to quality. These are the Premier League Champions of Pastel Pencils. While offering the perfect soft pastel attributes, I was stunned that they were still able to hold a point for those detailed gentle touches. Beautiful range of colours, perfect for blending together. Very impressive.